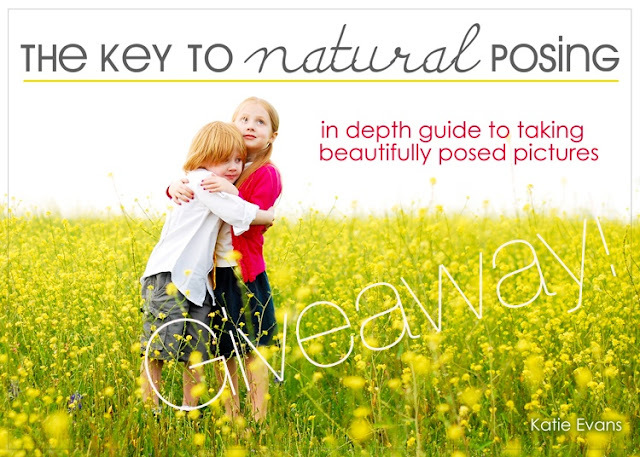 The Key to Natural Posing Ebook Giveaway! I've been a busy little bee lately-I've missed you! But I'm here now. And with a beautiful little giveaway! You may remember Katie Evans from the last giveaway we did for her first ebook, "The Key to Taking Pictures Like a Professional Photographer". Well, she's back with an awesome sequel! 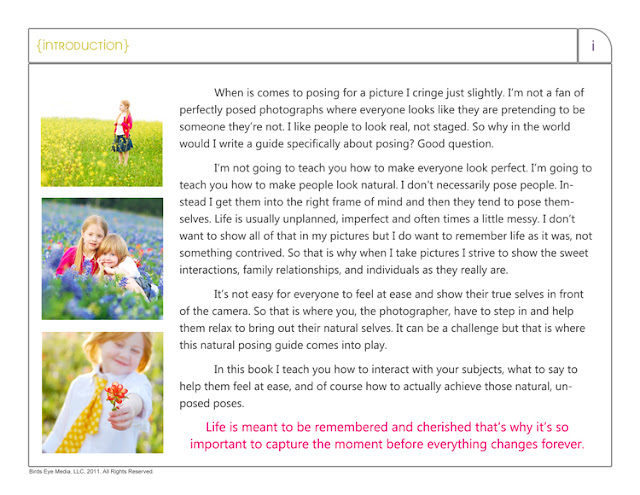 "The Key to Natural Posing"
She sent me a copy and I loved it. I'm a sucker for beautiful photos and hers are just gorgeous. I was so inspired! 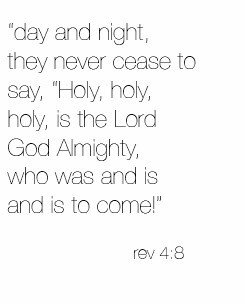 I read it the day before I was shooting some kids at church (well that just sounds awful) and it was a great help! I really enjoyed it and plan to go over it several more times. I don't know about you other photographers, but I think posing is definitely the most difficult part. If I could just figure out a way to hop inside their bodies and make them do what I want!! :O) You know what I mean? We have three copies to give away today! The winner will be announced next Monday, Sept 17th. Katie was also generous enough to offer R&S readers 35% off any of her books with the code: "RUFFLES", so check out her official book site to shop. You can also check out Katie at her blog, and on Facebook. be&autiful! thanks for the giveaway! I agree...posing is the hardest part of photography! I'd love this book. Oh I would love to win this! Thanks for the chance to win it. What a great giveaway!!! Thanks Disney! 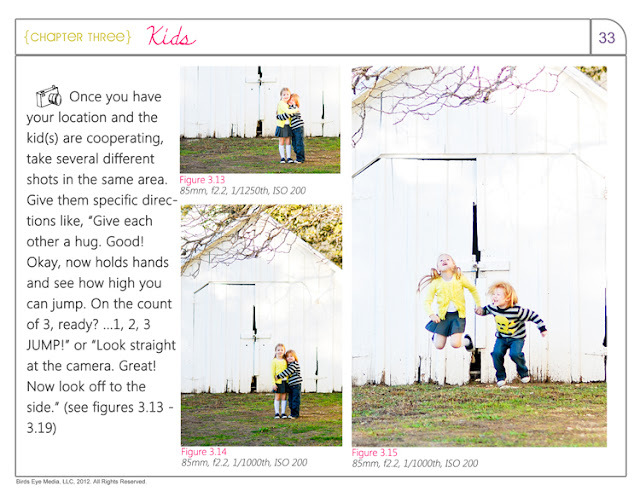 I take pictures of my family all the time and this would be a great resource!! I would like to win:)))! Great giveaway! I also find that posing is one of the hardest things when it comes to photography! So, I would love to win this! This sounds like a wonderfully useful book. Thanks for the chance to win! Thanks for the give away, it looks like a great book. Sounds like a great book, thanks for the chance to win! Oh I would love to learn more!!! Thank you so much for this post. I want to let you know that I posted a link to your blog in Creative Busy Bee Craft Inspirations, under the Page 1 post on Sep. 10, 2012. Thanks again. Just from the little snippets you posted I can already tell this will be an amazin help to me. I hope to win! It would be so much fun to win! I would love to improve my photography! Thanks! Oh wow! I would love this book! This sounds like a really helpful book! What a gorgeous book- love it!!! This looks awesome! I would love to win! I would totally love to have a copy! I so need this! my picture taking needs all the help I can get. Posing people is always one of the hardest things for me. I'd love a copy. Thanks so much for the giveaway! Hope I am the luck lady! This would be so fun! We love taking pictures at our house. Thanks for the fun giveaway! thank you for this opportunity! i could really use this! Wow. If I won this, I could stop telling the grandkids to "Please just be still and smile for one more second....." Thanks. Hooray for an alternative to "say cheese!" 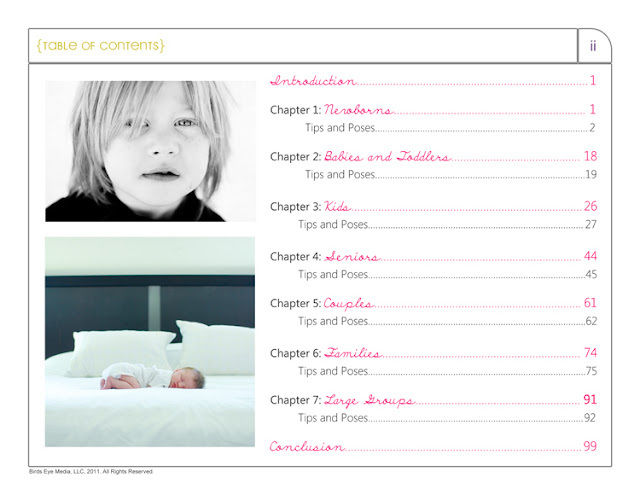 sounds like just the thing i need to read to prep for fashion photography and portraiture! The pictures are beautiful. Thank you for the chance to win! This is fantastic! 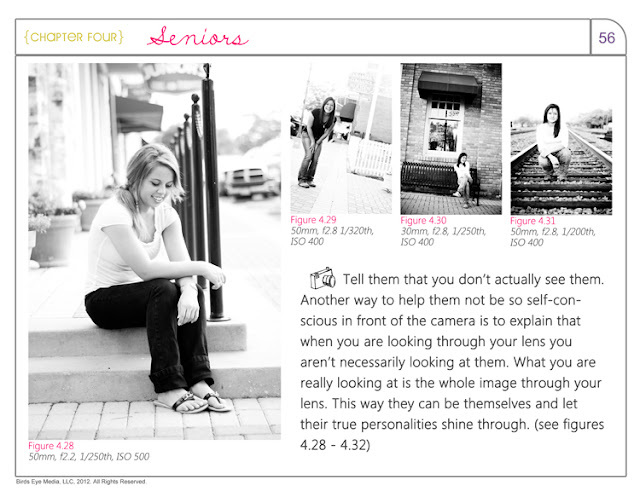 I love to photograph children and have done senior pix in the past so I could use some new tips! I'm supposed to shoot my first wedding next month, so the tips on couples and groups would probably come quite in handy. great giveaway!!! i need some new ideas for my kiddos! Looks like a helpful and fun book! Love this photography book! I think it would be a great help to me! This is a great book! Thanks for the giveaway! This would be so awesome and maybe stop my family from ending up on awkward family photos. I would love to have it! Also think my little sister will enjoy it, she loves to photograph and also has that touch, can be helpful & fun. Oo! This would be so handy to use! What a great giveaway! Would love to win! Thank you!! Sounds like a great book. tempermiranda at gmail dot com. I've had my camera for almost a yera, and now I'm starting my classes, so this book would just be perfect!!! This book looks awesome. I love the natural & relaxed poses. Would love a copy! Oh, I really would love to win this. I have an upcoming trip, and would really like to have more "candid" looking pics rather than posed ones! The book looks amazing! Unfortunately I'm not very good at taking pretty pictures... Thank you for the great giveaway! I've seen her books around blogland before and would be interested in reading one - the photos are lovely. Oooh, I would love to have one of these!! It looks amazing and I think it'd come in super handy! This looks like an amazing book! I know I would get a lot of use out of it! Would LOVE me this book! Love love love taking photos. Always trying to learn ways to make them more "fly on the wall" than a "camera in your face"
What a great book. I don't take photos for a living, but am a huge photo-taking nut. This would definitely help me improve. Wow this book looks amazing! I'm adding it to my 'must have' list right away! this seems like a great book! Thanks for the opportunity to win! This looks like a great book! Fantastic for pros and amateurs(like me!. Would be great to win! I love natural looking photos. Would love this!